According to state media, Syria's army has invaded the flashpoint town of Manbij after the Kurdish armed group called on government forces to control the area and protect it from a looming Turkish offensive. Sana The news agency said the army hoisted the Syrian flag in Manbij on Friday. It also pledged to ensure "full security for all Syrian citizens and other people present in the region," Sana said. The move came shortly after the People's Protection Unit or YPG appealed to the government of President Bashar al-Assad to prevent a "Turkish invasion". Turkey, which sees the YPG as a "terrorist group", had threatened a military operation against Manbij to depose the Kurdish troops there. Turkey and its Allied fighters have amassed troops throughout the city in recent days. The threats triggered the US announcement to withdraw troops from Syria. A timetable for the withdrawal has not yet been published. 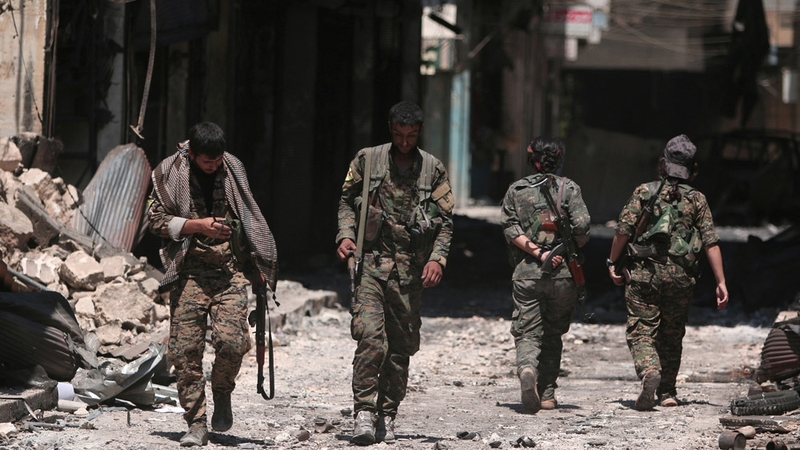 However, the US's startling decision shook the allies and Syrian Kurdish US partners who were looking for new allies to protect their Kurdish-administered areas in the north of Syria. The Assad government has said that they welcome the Kurdish group that is returning under their authority. Government officials, however, have stated that they will not consider an autonomous area as a major requirement for the Kurds. There was no immediate response from Turkey or the US. Russia welcomed the entry of the Syrian army into Manbij.